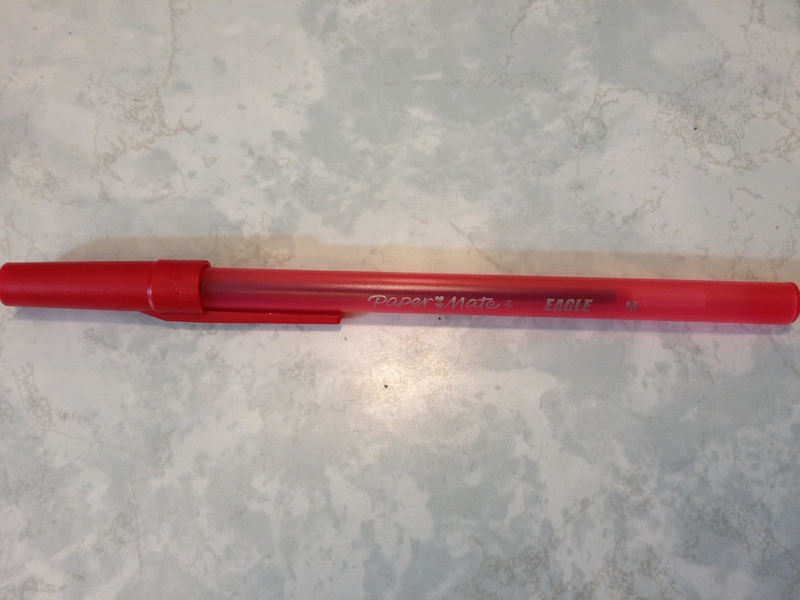 All pen companies have a simple, cheap round pen. Bic has the round Stic, Staples has its… pen, and Paper:mate has its Eagle. And it’s the Eagle I’ll be looking at today. The body of the Eagle is nothing spectacular. It’s simply a semi-transparent cylinder which tapers down slightly just after the section to a tip/refill insert that can technically be removed, but which shouldn’t be because replacing it would be as expensive as replacing the pen. 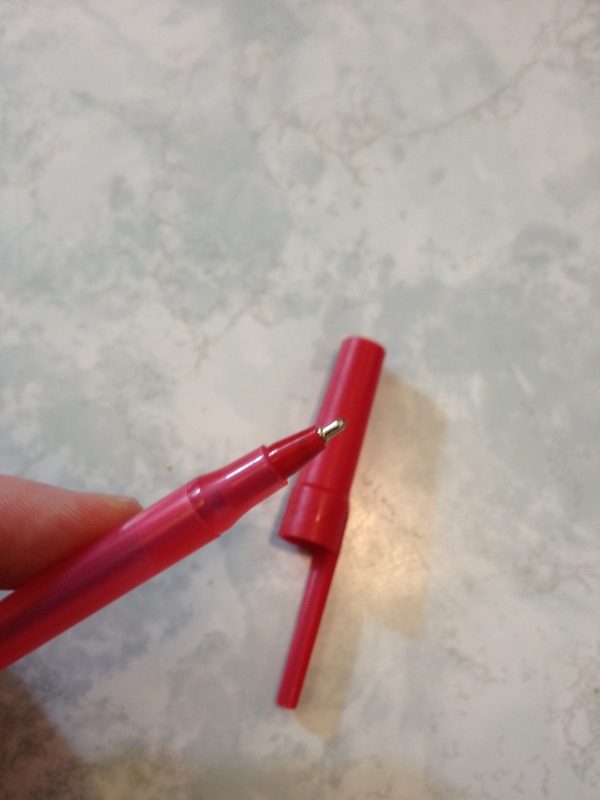 The cap is a standard friction fitting affair, which covers the tip so ink doesn’t get everywhere, and has a clip that’ll keep it in your pocket for a little bit, though I wouldn’t trust it. The information printed on the side of the barrel is minimal but works. The writing is surprisingly smooth for a ballpoint, at least for the red one I’m using. I guess they’re just getting better over the years. The ink is the same color as in the Paper:mate Write Bros pens. It’s fairly dark and unaggressive as far as reds go. And it’s waterproof almost instantly, though I wouldn’t wager on it being fade resistant. Writing comfort is minimal, as one still has to push down a considerable amount when compared to liquid or gel pens, and there is no grip other than the plastic of the barrel. But it’s still quite tolerable and causes no excess discomfort when writing. Overall it’s a fine office pen. It works, and it’s cheap. It’s sturdy and fairly reliable. Is it great? No. But they’re fine for what they are, and virtually indistinguishable from similar Bic pens. If you lose a lot of pens, or need to get some for students or coworkers, these should do just fine. This entry was posted in Beginner Supplies, Utensils and tagged ballpoint, papermate, red, red ballpoint, review by Dragon Co (Austin Smith). Bookmark the permalink. These pens should be recalled and removed frim market, I will never buy a papermaking pen ever again.